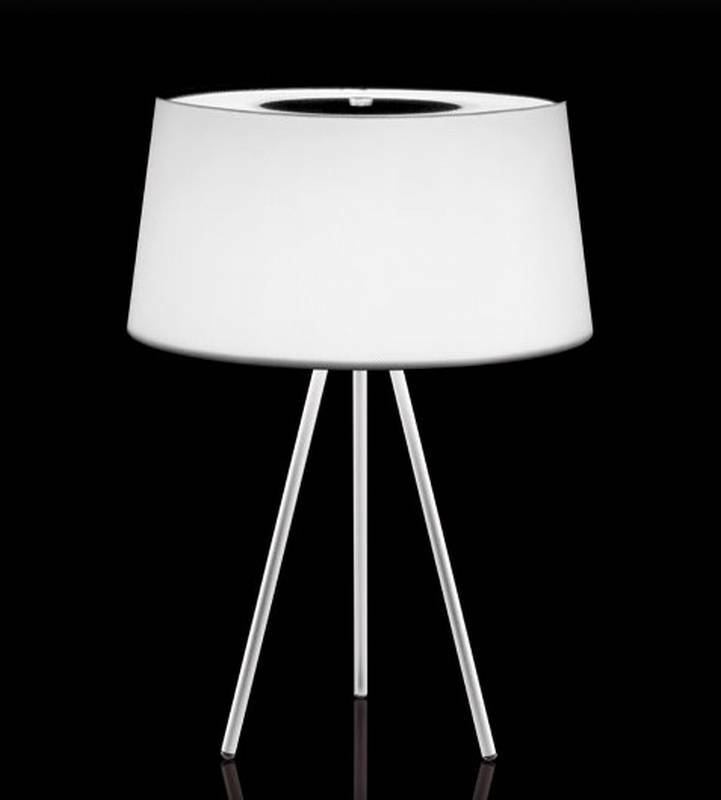 Description A stylish table lamp with a three-pronged metal structure. Fire resistant fabric shade in white, moka or ecru. Bulbs: 3 x 40W E14 (E12US) Clear.